Albergo Villa Giusto Barano d'Ischia, Hotel Italy. Limited Time Offer! Albergo Villa Giusto. 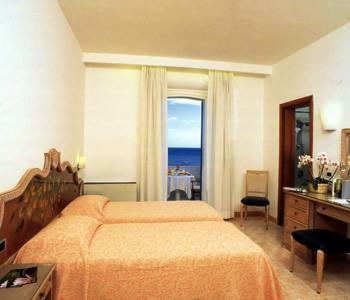 "Albergo Villa Giusto" is a 3-star inn. 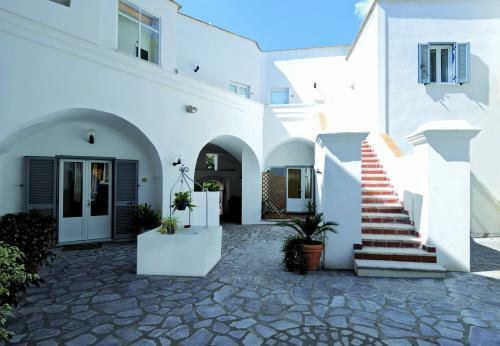 It is ideal for discovering Barano dʼIschia. Guests will appreciate the opportunity to spend a day at the nearby sea side. There are 12 rooms to choose from. Every bedroom has been described as being large. Warm weather is kept outside thanks to the relieving air conditioning. From this residence, you have a direct view of the sea. Enjoy some fresh air in the private garden. After a long day, the onsite spa and whirlpool bath will help you feel refreshed. You can also sign in for a relaxing massage. Dinner can be enjoyed at the onsite restaurant. In the evening, you can have a drink at the lounge bar. Breakfast is served each morning to provide you with a good start to the day. Business travelers will appreciate the access to the Internet. Set within a completely restored 18th-century villa, this 3-storey hotel occupies an idyllic position in the picturesque Maronti Bay, boasting wonderful sea views.